Learning in the classroom can be fun and more productive with interactive eBooks. While an instructor’s role cannot be discounted, learners can also learn at their own pace, and through team work. An interactive eBook may present a situation that needs to be analyzed. All learners can brainstorm and come up with different solutions and the instructor can guide them towards the correct one. So, in sum, learning through interactive eBooks is learning by doing and understanding real-world situations through the virtual world. So, how can digital technology be used more effectively? In a traditional classroom, a teacher speaks, and students listen. The monotony is broken with some question and answer sessions, which may not be enough to hold their attention in the long-term. In case of interactive eBooks, learners can sometimes listen, sometimes read, sometimes watch videos, and sometimes focus on interactive exercises that test their abilities. This helps to break the monotony in learning. A multi-sensory learning experience generally leads to better receptivity and retention by the brain. Learning can be both fun and fulfilling with interactive eBooks. Are your students unable to visualize the function of a component in Physics or the blood circulation system in Biology? The videos help to bring the concepts to life giving them a context and providing a real-time experience to the learners. The multimedia tools of eBooks can be used to present images and diagrams as static or animated, as still photos or video clips. This means that the learners are no longer restricted to linear formats of the text book, with information presented in a sequential order. The diagrams and images can be hyperlinked so that students can search for all related information and browsed in any order. Familiarize the students to understanding the interactivity features, for example, how to turn the page, adjust page set up, change font size, etc. Then there will be students who are more tech-savvy. Give them time to figure it out for themselves for there is nothing more motivating or inspiring than do-it-yourself. Build a digital library so that students can read support lessons or find information on the subject being taught. Interactive eBooks are easy to access as compared to the regular books. Students can carry a whole library of eBooks with them under their arms! They can download the eLearning tutorials on their smartphones, tablets and read while on the move, or they can go online and read on their laptops in the comfort of their homes. Teachers or trainers can also give students some pre-lesson tasks. For instance, if it is a literature lesson on Shakespeare’s plays, students can be sent a copy of web quest that raises awareness about the author and sets the stage for the reading and understanding on his plays. Teaching correct reading and pronunciation, and particularly, of a foreign language, which can otherwise be difficult through reading. Interactive eBooks also incorporate video and audio text, which allows learners to repeatedly listen to the words they are unfamiliar with and pick up the correct pronunciation. Besides, they can right-click on the word and look up their synonyms or meanings in the dictionary. Revision, error-correction, giving feedback are easier with a digital format than the traditional learning approaches. In the case of interactive eBooks, lessons can be broken into modules, and modules into sections, with a summary and knowledge, check at the end of each section. In the case of digital learning, learners have the option to go back and redo a module or section if they didn’t clear the assignments. This means that they proceed further only when they are ready to move to the next level. 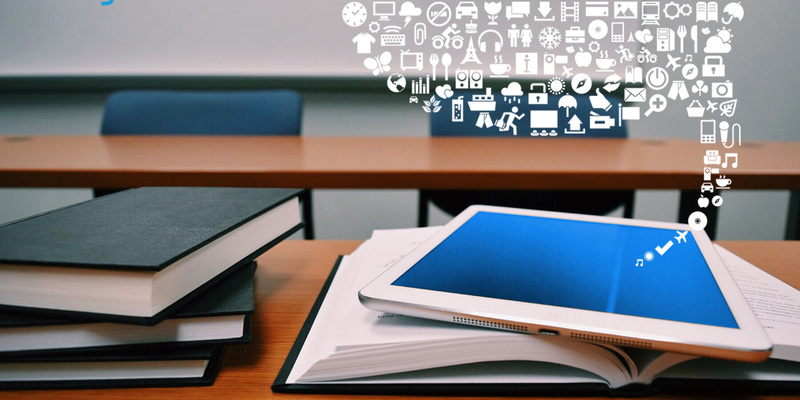 Interactive eBooks are changing the learning scenario. They’re making learning fun and engaging by providing a lot of interactivity and media files that eventually makes difficult concepts easy. Click here on create an interactive eBook for a simple step by step guide to creating interactive eBooks.